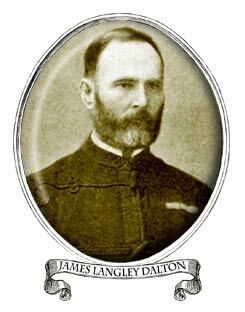 James Langley Dalton (Commissariat and Transport Department). Died 7th. January 1887 in Port Elizabeth, South Africa. He is buried in the Russell Road Roman Catholic Cemetery with a memorial, Plot E.
On our visit to Port Elizabeth we went to Dalton's grave in the Russell Road Cemetery. We took in many of the interesting sites, including the only statue erected to a horse, through a guided tour by a taxi driver who happened to be a descendent of an original settler. The graveyard is well tended but has apparantly been the subject of vandalism in recent years. 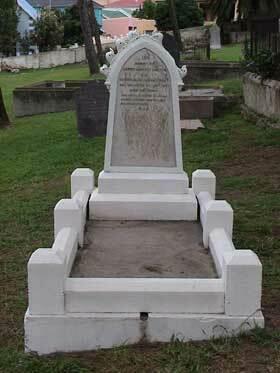 It is a small graveyard and the grave is easily found, being the only one which has been painted white. 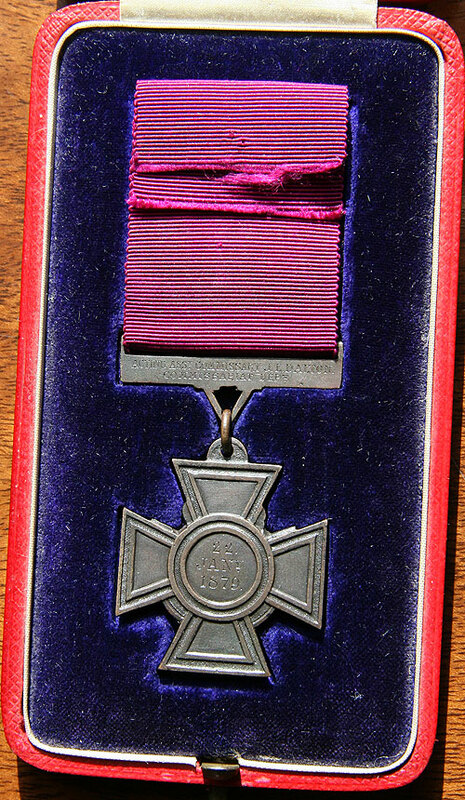 Superintended the work of defence and was amongst those receiving the first wave of attack, where he saved the life of a man by killing the Zulu assailant. Although wounded himself, he continued to give the same display of cool courage throughout the action. He was 46 at the time of the defence. James Dalton was born in London in 1833. He enlisted in 85th Foot in November 1849 aged 17. He transferred to the Commissariat Corps in 1862 as a Corporal, and was promoted to Sergeant in the following year. Four years later, he became a clerk and a Master-Sergeant. He served with Sir Garnet Wolseley on the Red River Expedition (Canada) in 1870. He retired from the army, with a Long Service & Good Conduct medal in 1871 after 22 years service. By 1877, he was in South Africa and volunteered for service as Acting Assistant Commissary with the British Force. It was largely due to his experience, which made the defence of Rorke's Drift a success. At first his contribution was not recognised; however reports of his actions finally reached the ears of senior officers and even Queen Victoria. 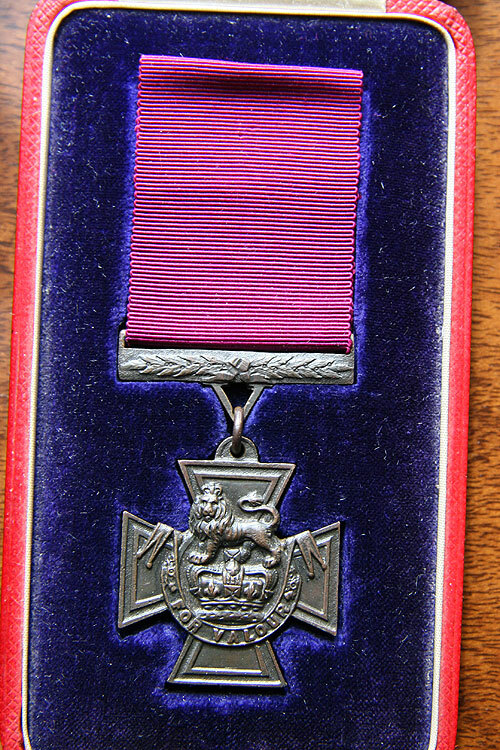 He received his VC from General Hugh Clifford VC at a special parade at Fort Napier on 16 January 1880. He returned to army service being given a permanent commission. He sailed for England in February 1880. He soon returned to South Africa and took part shares in a gold mine. It is thought that he went to stay with his old friend, ex-Sgt John Sherwood Williams, at the Grosvenor Hotel, Port Elizabeth, Eastern Cape just before Christmas 1886. After spending the 7th January 1887 in bed, he died suddenly during the night, aged 53.. (His VC is in the Royal Logistic Corps Museum, Blackdown, Camberley, Surrey).